Glen and Janet taped Jesus Christ, Superstar, the one that was released in April through PBS. They invited us to come over and watch, so there we were tonight, watching Sara Bareilles, John Legend, Alice Cooper and Brandon Victor Dixon (of Hamilton fame). 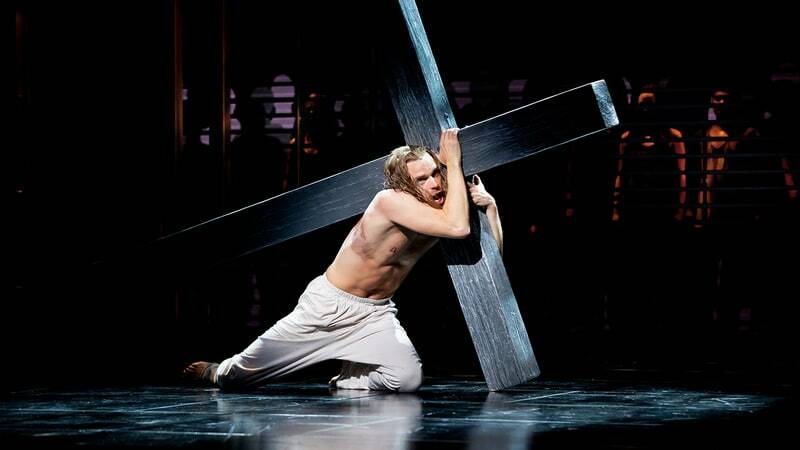 With music by Andrew Lloyd Webber and lyrics by Tim Rice, the 1970 rock opera is an interpretation of the Gospels' accounts of the last week of Jesus' life, with a larger emphasis on the conflict and struggles between Jesus and Judas Iscariot. Janet, Glen and Rebecca know every song and the lyrics to every song. Three out of four people in the room with that kind of interest in the show is pretty good. The first musical that Webber wrote was Joseph and the Technicolour Coat. Tonight's taping was pretty spectacular -- the costuming, the orchestra on-stage, the beautiful harmonies. And good company.